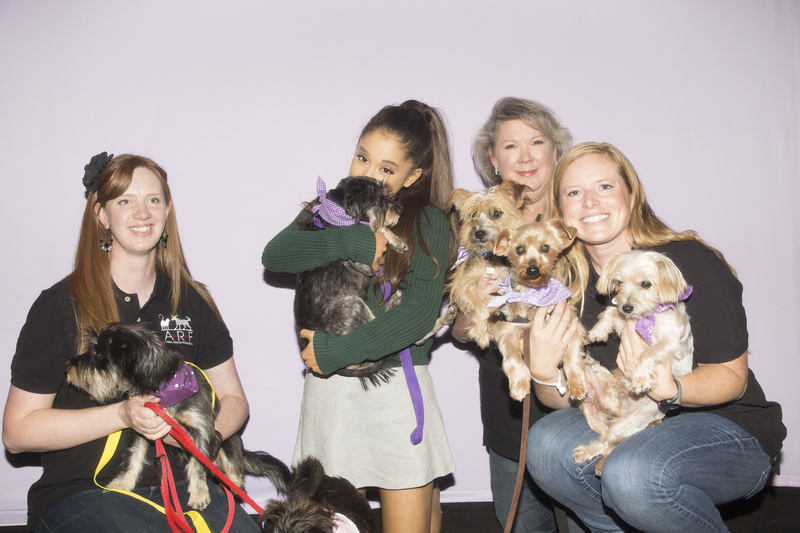 (Tulsa, Okla.) October 7, 2015 – Before Ariana Grande’s concert at BOK Center this evening, SMG Tulsa staff members surprised Grande at her meet and greet with eight dogs from ARF Tulsa, the Animal Rescue Foundation of Tulsa. Grande has been known for taking crazy pictures with building staff members throughout her tour and the SMG team at BOK Center wanted to make sure her night here was memorable. Being the dog lover that she is, it’s safe to say she loved the surprise. “This is the most memorable thing a building has ever done for me,” said Grande. To top it all off, she immediately fell in love with a Yorkie named Strauss and adopted him on the spot. Plus, she also paid the $150 adoption fee for the seven other dogs she had the pleasure of meeting along with twelve others from ARF that will soon find their forever homes. Thanks to the generosity of Grande, now 20 total dogs will find their forever homes and those that adopt them won’t have to pay anything. At the end of the night, we received even better news and learned that Ariana Grande’s mom adopted Typhoon and Grande’s DJ, DJ Dubz, adopted Beethoven. For more than 25 years, ARF Tulsa’s mission has been to find responsible owners for homeless pets who have run out of time at the public shelters. They rescue pets from kill shelters and place them in forever homes. To find out more information about ARF and see the pets available for adoption please visit www.arftulsa.org. Dogs pictured below had their adoption fee paid for by Ariana Grande and are still looking for their forever home. 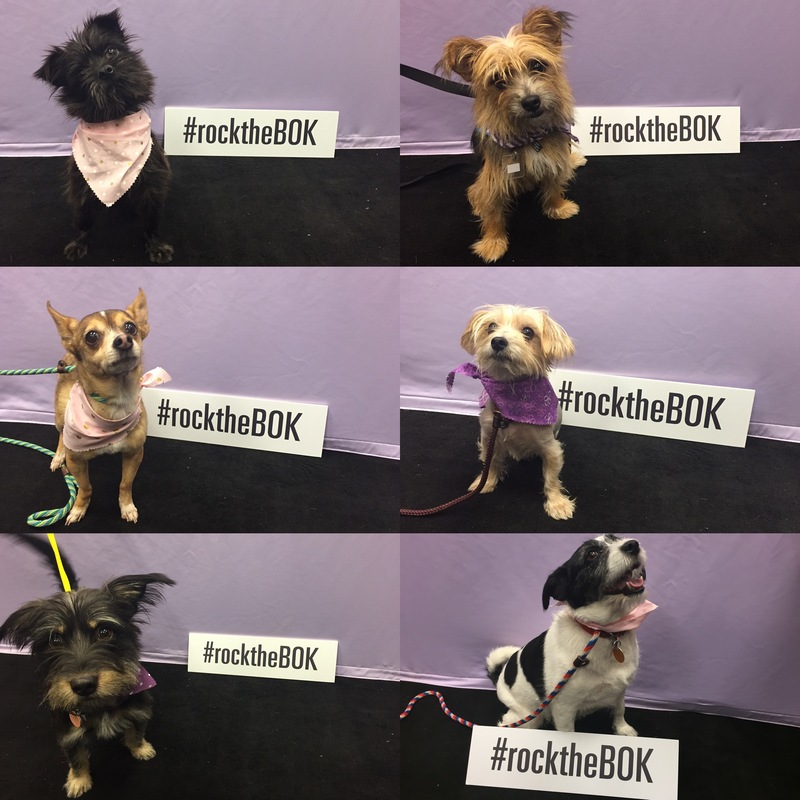 Starting at the top left: Typhoon – already adopted (Affenpinscher Mix), Neal (Terrier Mix), Diana (Chihuahua), Beethoven – already adopted (Yorkie), Pacha (Schnauzer) and Miley (Jack Russell Mix).